Are you a Different Breed? A ski patroller’s day starts long before the lifts open. After large snowstorms or changes in snowpack, ski patrollers ski-cut the hill and toss bombs to reduce the risk of an avalanche before the public is on the mountain. Once morning chores have all been completed and the guests are happy and healthy, there’s nothing left to do but get in some good turns or kick back and relax. Down time in the patrol shack usually consists of tall tales, good laughs, and strong coffee. When a call for assistance on the hil comes in from Dispatch, the patrollers are ready to respond in seconds to assist, treat and transport if needed. Anyone who joins the ski patrol must be an expert skier who is strong, has high endurance and is in excellent physical condition. Skiers must be able to work under harsh weather conditions and in dangerous areas. 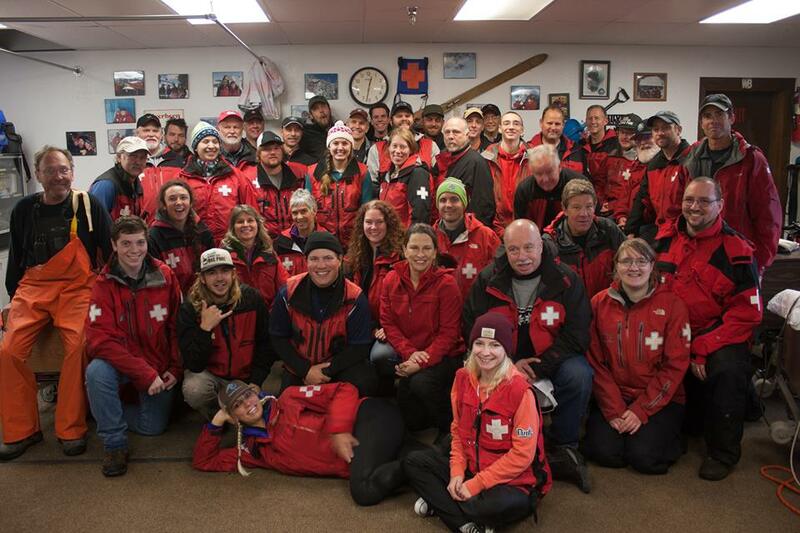 Some ski areas require that each member of the ski patrol have a basic EMT certification. In addition to a test to assess skiing skill level, prospective ski patrol members may have to pass one or more written exams on safety, first aid and related areas. Ability to lift or move up to 100 lbs. All Patrollers must complete or have a current certification in OEC (Outdoor Emergency Care) or equivalent medical training, plus a CPR certification. Patrollers must keep this certification current through an annual medical refresher, CPR recertification, as well as a chairlift evacuation drill. Approximately one season is required as a Candidate Year to complete all of the Silver Mountain on-hill signoffs, which include knowledge of resort protocols. After completion of the above, you become an Auxiliary Patroller. To become an Alpine Patroller, you must complete toboggan training. Ongoing additional training is recommended.